The trick to a good-looking pocket lining is to use a spare needle as a guide on the body, to line up the base of both pockets to each other (if you have two pockets), and to use a simple whipstitch to keep the seam lightweight. You will need: a blunt yarn needle and spare dpn's or circular needle. Start with the sides of the pocket lining. 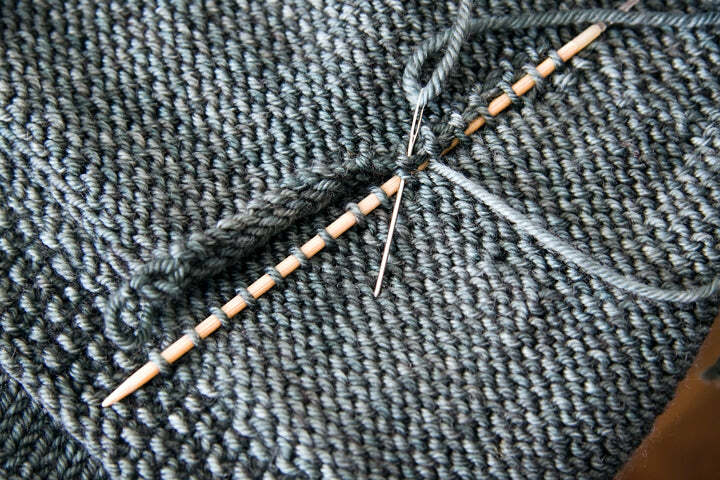 On the wrong side of the body, thread your spare dpn's vertically through the back of every second stitch, creating a guide for the sides of the pocket lining. 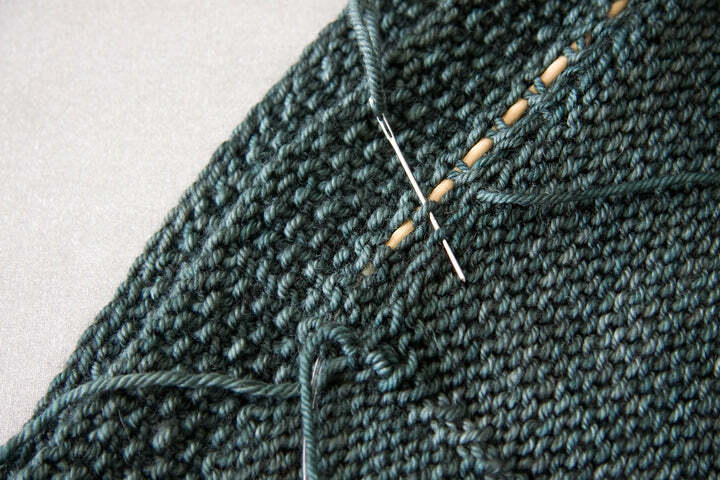 Thread your needle through a stitch on the lining and the corresponding stitch on the body. 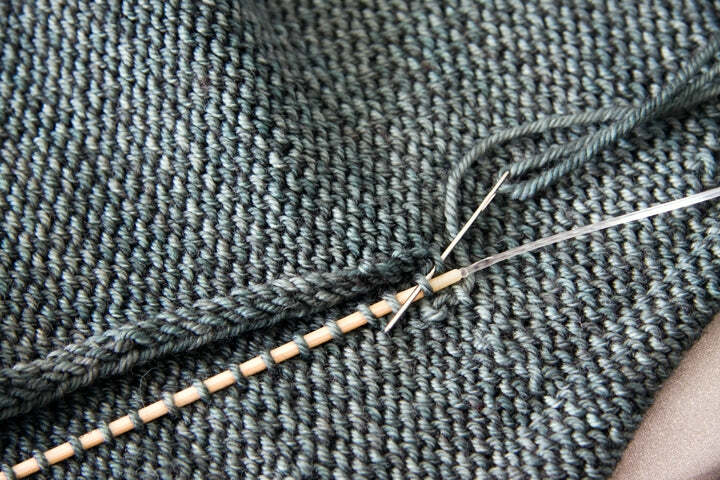 Keep the stitching simple and try to go in the same direction each time (in the picture the needle is always threaded right to left, the same direction that the seam is being worked). Continue stitching every second edge stitch of the pocket lining to the stitches on the dpn, until you reach the bottom of the pocket lining. Remove the dpn. Then do the other side of the pocket. 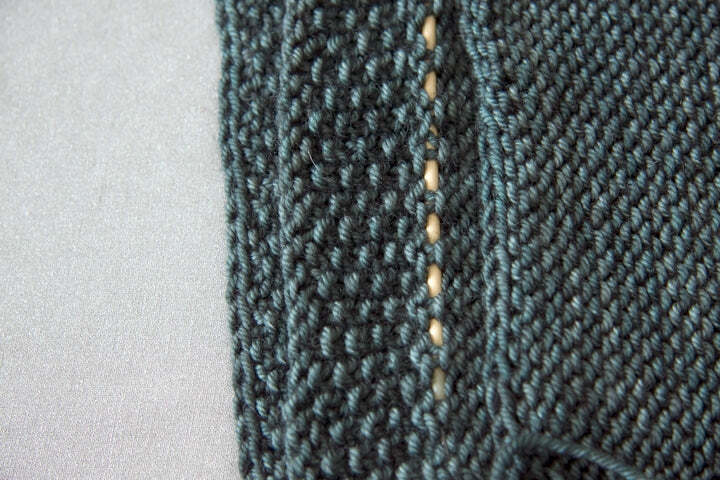 Whipstitch the base of the pocket as you did the sides. I find stitching every second stitch is enough and creates a lightweight seam.